Center Celebration is an annual fundraising event for the New Orleans Jewish Community Center (The JCC). 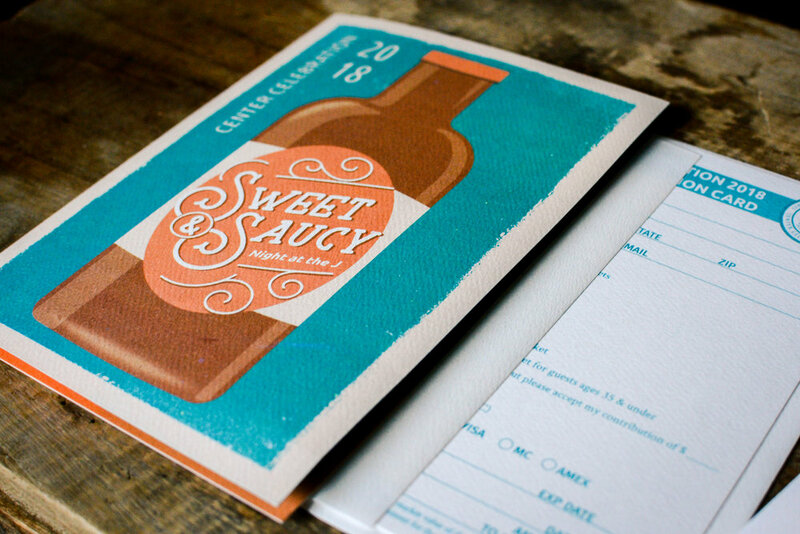 The event’s 2018 theme was “A Sweet and Saucy Night at the J” inspired by an uptown BBQ party. Along with a Kosher BBQ Buffet, the event had local musician, Kermit Ruffins and his band the Barbecue Swingers playing live. 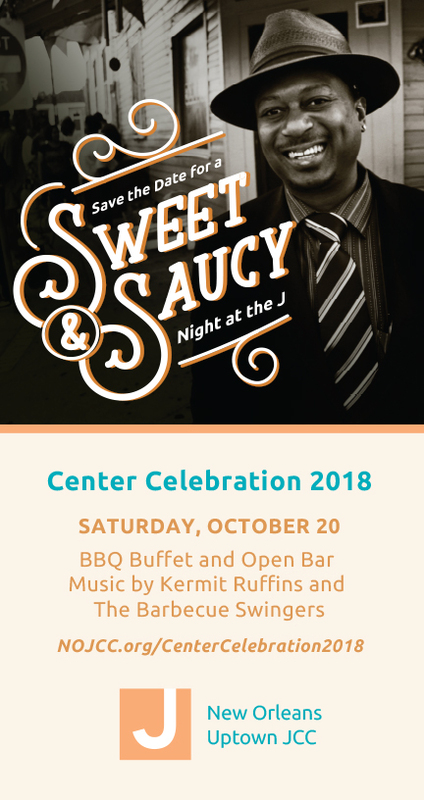 Invitations for the 2018 New Orleans JCC Center Celebration. Indoor Banner for the 2018 New Orleans JCC Center Celebration. Outdoor Banner for the 2018 New Orleans JCC Center Celebration.